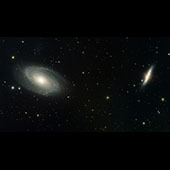 M81 (the spiral galaxy on the left) and M82 (the galaxy on the right) are two relatively nearby galaxies that are gravitationally interacting with each other. This interaction is triggering the formation of new stars in M82 at a massive rate, which can be seen from the filaments of red hydrogen gas in the galaxy. 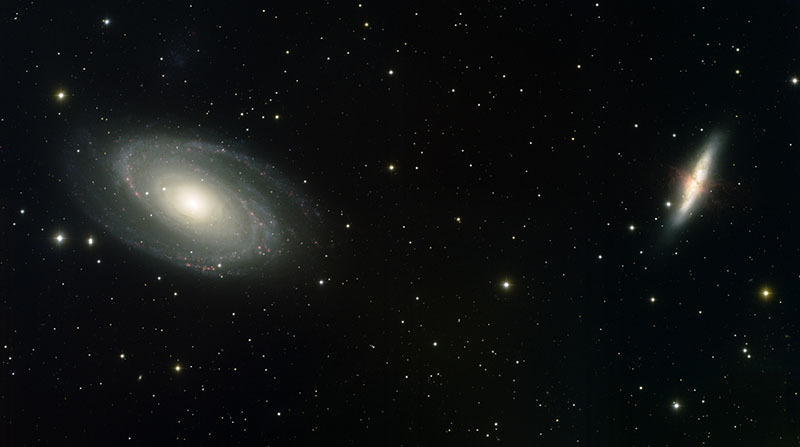 The very faint irregular dwarf galaxy Holmberg IX can barely be seen above M81.